As we reach our 8th year of trading, Padua Communications has opened a new branch in the beautiful town of Fordingbridge on the edge of the New Forest. 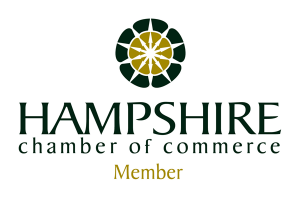 To help us meet some new neighbours, we have joined Hampshire Chamber of Commerce and are exhibiting at the Chamber’s business exhibition at St Mary’s stadium in Southampton on 5th December. Manning the stand will be Managing Director Nicky Rudd and fellow director Jason Jenkins. We will be talking about our services and customer base, highlighting examples of how we help our customers with content creation and PR. With clients in sectors as diverse as marine, IOT, smart utilities, design engineering and 3D printing, we have a wealth of experience we can bring to companies in Southampton, Winchester and Salisbury. We’ll be telling visitors to the event that you don’t need to start from scratch to get results. Instead, we’re hoping to inspire everyone there to look at their existing marketing, PR and comms and challenge them to think differently. The best campaigns are where all activities dovetail with each other to build brand awareness and increase profitability. We’ll be giving away five content audits for customers who visit our stand and share their contact details with us to help them achieve that. If you can’t get to the event and you want to see how we have helped customers, take a look at our case studies, but if you can make the event on the 5th December, we’d love to see you. The event is free and will run from 4 – 6.30pm. If you’re planning on coming along, drop us a tweet @nickyrudd01 using the hashtag #HCCXmas – we look forward to seeing you. If you can’t make it, but would like to be in with a chance of winning one of our content audits, tweet that instead.